This adorable scarecrow is making his way through the holidays. This Scarecrow is celebrating Valentines day and his mailbox is overflowing! Make this adorable quilt as a wall hanging or into a bag to hold all of your Valentine cards! 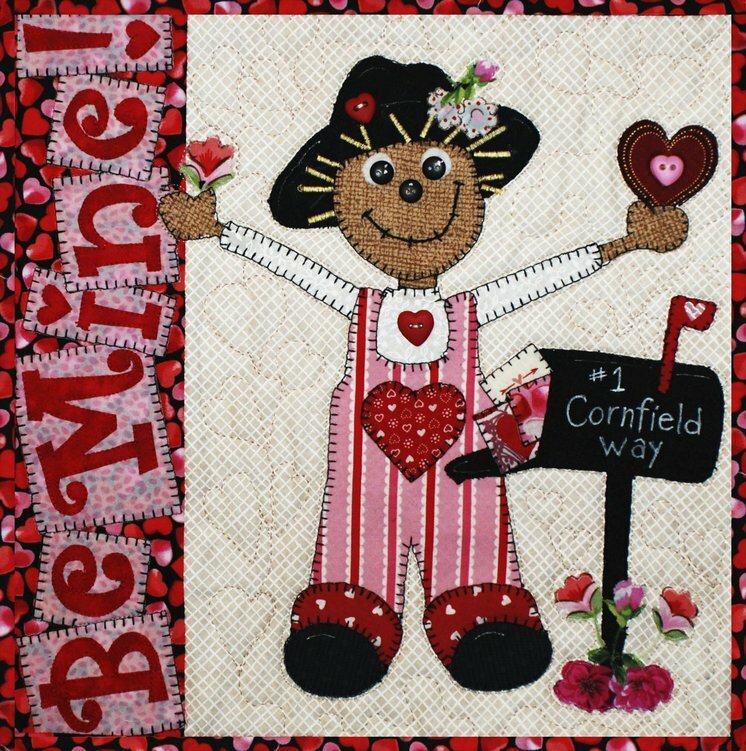 12"x 12" Send someone a fabric Valentines Card this year.